We can’t do it alone. Here are the folks that have given us the means to bring Onerent to life. An online social network service that offers an extensive interactive communication platform for the Chinese market. The company is an active investor in US-based real estate and finance technology companies such as SoFi, LendingHome, Fundrise, and Sindeo. XG Ventures was founded in March 2008 by ex-Googlers, who were early hires in strategic roles at Google. Pietro Dova and Andrea Zurek are the managing members. 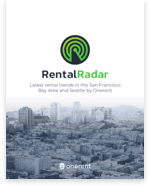 Onerent Simplifies Residential Renting Process for Both Renters and Owners. Onerent Transforms a Revolutionary Idea into a Scalable Model.